This is not your momma’s beach bag. Well, it is. But you’ll want one for yourself as well once you see how easy it is to make and how many different uses there are for it. 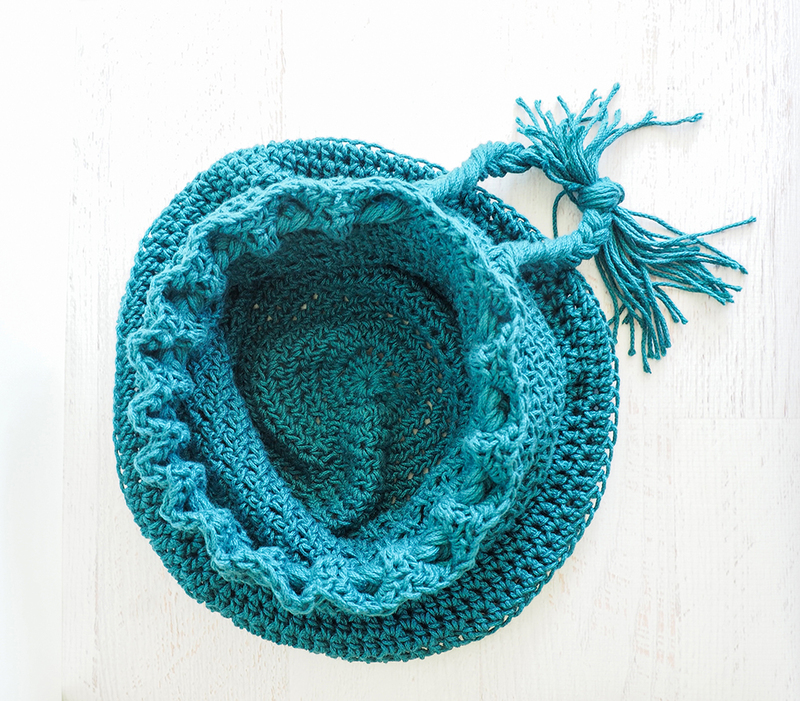 The Momma Beach Bag Crochet Pattern is one that you can use again and again. Ditch those ugly bags you take with you to the grocery store and use this one instead. 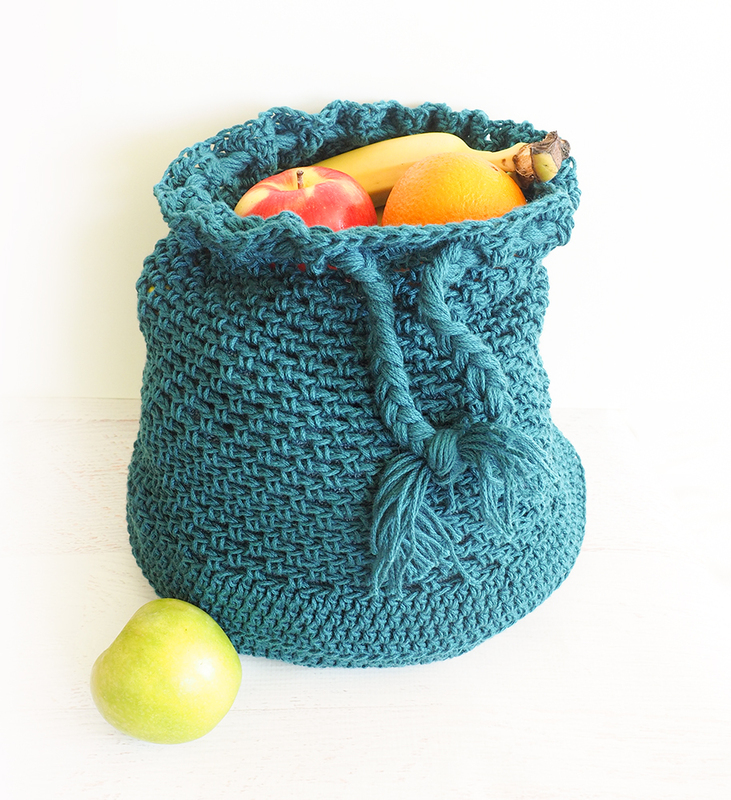 Your apples and bananas have never looked cuter nestled in this adorable bag. We love taking it with us on errands or to the beach. It’s stretchy so you can work with objects of any shape and size, and they’ll fit right into the bag. Tie it all together with a string of the same color as the body of the bag, or get funky with it and choose a contrasting color. 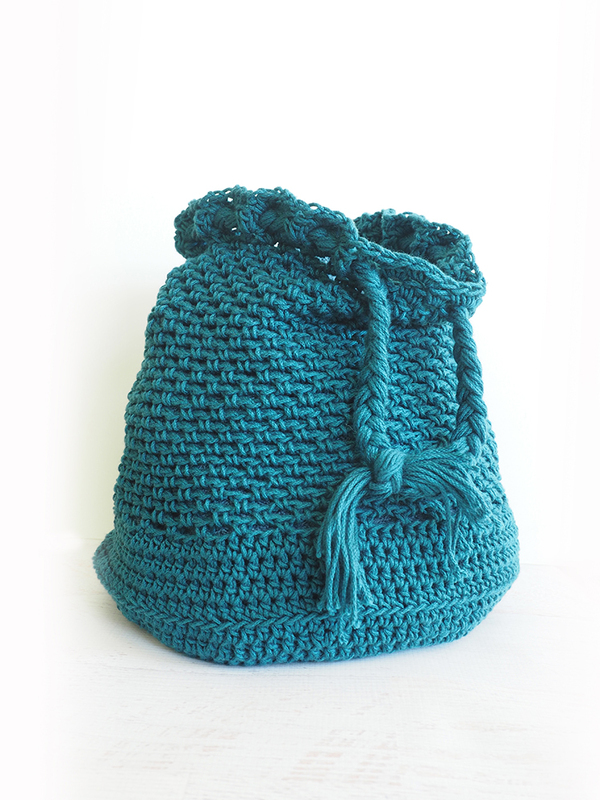 The PDF version of this pattern has answers to all the questions you could possibly have about this bag – and more than that. You’ll be able to master the stitches, use a magic ring, tie it all together, and have a great bag ready to go. Round 47-49: Slip stitch into first CH 2 space. CH 2, 2 HDC in same space. * 3 HDC in next CH 2 space, repeat from * around, Join into the top of CH 2. Slip stitch into the space between the first two groups of 3 HDC, do 3 HDC into the center HDC of the next group of 3 HDC. *Slip stitch into the next space. 3 HDC into the next center HDC, Repeat from * around. Join to first slip stitch. Cut about 25 4 foot strands of yarn and braid together to make a drawstring. Weave through round 48 and tie together. When making my drawstring I ran out of sport weight yarn. So I added some pretty green cotton yarn to make my braid fatter. I actually wish I would have made it a little fatter and shorter to make it easier to carry. Make the length and width that you feel most comfortable with. Where will you wear your bag? We want to know what kind of adventures you’re going on. 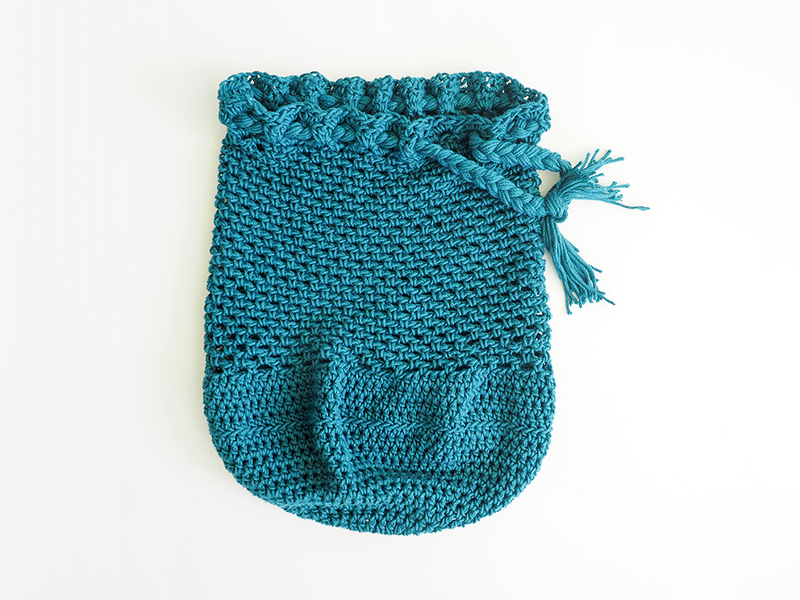 The Momma Beach Bag Crochet Pattern is one to be shared, and we’re asking that’s just what you do. If you took it on some place exciting – or maybe even just to the park on a picnic – snap a pic and share it with us. Then move on to your next crocheting project, because once you’ve been bitten by the DIY bug, we know just how hard it is to stop. 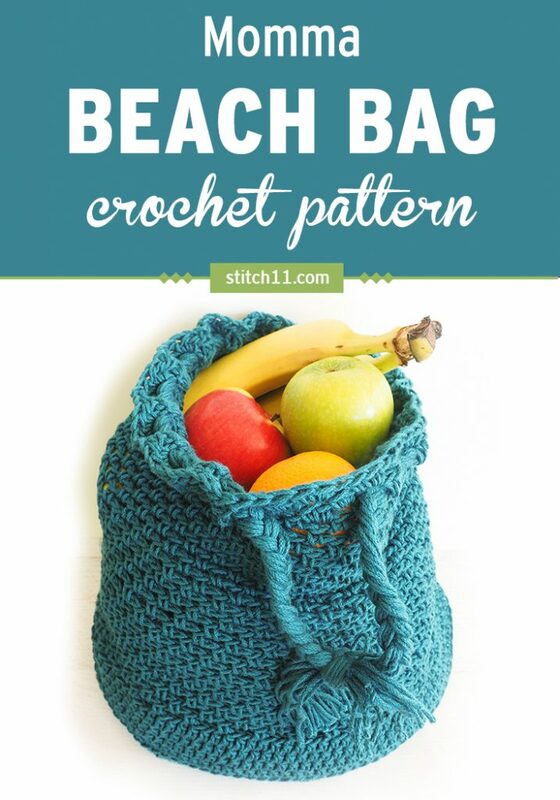 Such a cute beach bag DIY project. Really into this. Gonna give it a go. Hi, all of your crochet is just amazingly beautiful! I’m trying to crochet that beautiful which hat the pink and black one you crocheted for your daughter. I need instructions for a woman adult size. I would appreciate any help. Again Thank You for sharing these beautiful patterns.